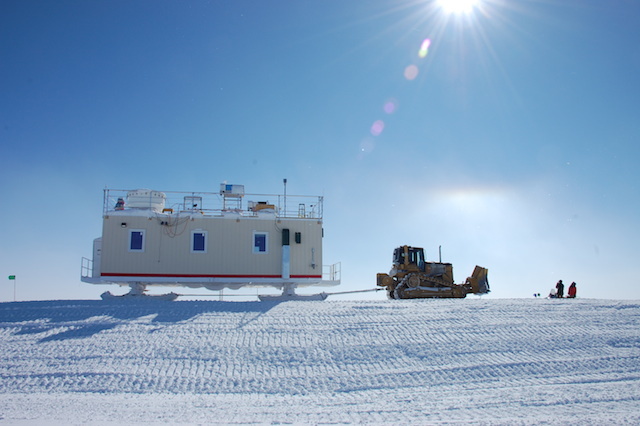 The Mobile Science Facility at Summit Station was constructed by the National Science Foundation to rest on skis so that it could be repositioned and relocated. 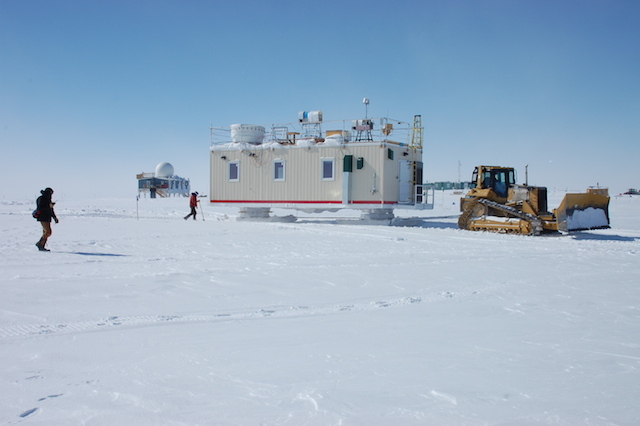 Occasionally it is moved to suit the needs of the experiment(s) it contains; other times it is moved to escape being buried by the significant snow accumulation experienced up on the Greenland Ice Sheet; and biennially we move the building to a fresh berm to ensure good line of sight for the instruments it houses. While this is not a complex operation, it is a delicate one. Within the building are instruments that constantly collect high value data. 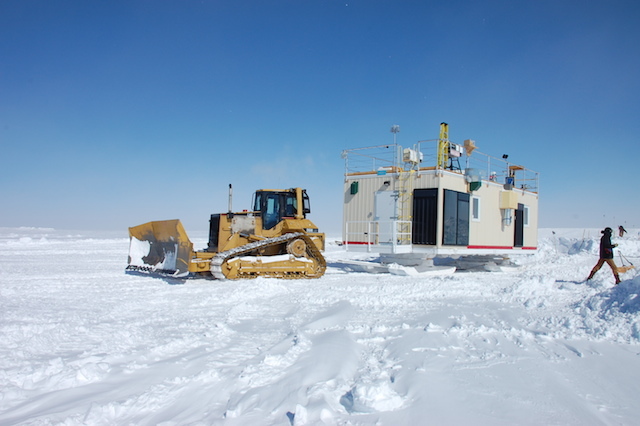 Many of these instruments collect data for a project called the Integrated Characterization of Energy, Clouds, Atmospheric State, and Precipitation (ICECAPS) observatory, which is led by Dr. Von Walden, of Washington State University. Since 2010, the instruments have collected real-time cloud and atmospheric information. The project is slated to continue until 2018. 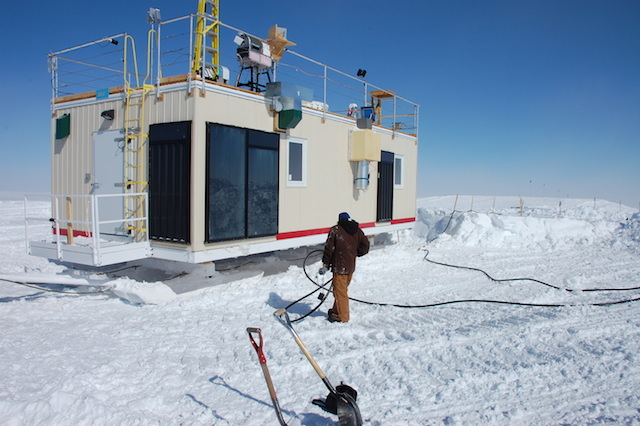 Recently Summit staff moved the MSF to a fresh new berm, which required that the building’s power be supplied by the auxiliary power unit (APU) until reconnected to the Station grid. Though the APU can provide back-up power for more than two hours, each tick of the clock is excruciating because some of the instruments in this long-term study run continuously and any outage would interrupt the data record. To minimize disruption, staff coordinated closely with Walden and his team. 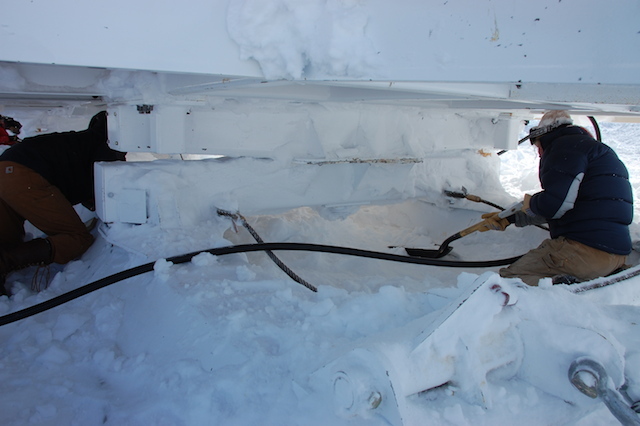 The Summit team accomplished this move so that the APU had to provide power for only 18-ish minutes. This may be a record.